Among the noteworthy individuals elected to office around the country Tuesday, one of them includes who is believed to be the first African American mayor in Montana: Wilmot Collins, who came to the U.S. as a refugee from Liberia. "It's a bit overwhelming to think that I came into America 23 years ago and on Tuesday, I made history," Collins told CBSN's Elaine Quijano on "Red & Blue." His life story and rise to the political spotlight has fascinated locals and a national audience in the days following Tuesday's election. He says he didn't foresee a future in politics when he first arrived to Helena, Montana's capital. As he has grown with the community, Collins remembers being "shocked" when he first moved into town. Collins won a narrow race Tuesday, defeating a four-term incumbent by just over 300 votes, according to CBS affiliate KXLH-TV. Since then, well, the rest is history. Collins is a child protection specialist with the Montana Department of Public Health and Human Services, according to KXLH-TV. The station adds that his wife spent time as an exchange student at Helena High School and that a family that hosted her assisted her in securing a scholarship to Carrol College. Collins told KXLH-TV that he has done dozens of media interviews with such outlets like BBC, Voice of America -- and now CBS News. He told Quijano that his campaign was focused on local issues that seemed to resonate with the community and led to a path to victory. "I focused on teenage and veterans' homelessness, I was focused on providing funding for the providers of essential services like police and firefighters ... those are the things I was looking at ... those are the things my campaign focused on," Collins told CBSN. Collins ran with a self-described progressive slate of candidates and CBSN asked if he sees himself as a capital "D" Democrat. "I see myself as a Progressive," Collins said. "I always tell people I vote the issues. When the issues are close to home, when the issues matter ... I'm there. Right now, I tell people I lean Democrat, but right now I'm on a presently Progressive slate." Collins gave a local TED Talk earlier this year about the refugee process addressing and the cultural changes he had to make once arriving to Montana from Liberia. "Nobody told me how cold it was going to be; nobody told me about the demographics," he said. "I was shocked because I came here [Montana] February -- when we have most of our below-zero weather ... so I struggled. But I had my family with me and that's all that matter. And three years later, I'm still here." "My only focus was getting a second chance and care for my family," Collins said. "The community grows on you. It grew on me and I'm comfortable enough to do what I'm doing." Although Collins wouldn't sugarcoat the community's pitfalls -- he mainly called residents "downright nice." "I'm in a community that's maybe 96 percent Caucasian, but I never made this about race," Collins said. He reiterated that the issues in the community were his driving force and he connected with the people. "The voters heard the issues -- and thought I was the better of the two." Collins said he never thought about race and being the first African American mayor until the media made it national headlines. Collins will be officially sworn in in January. 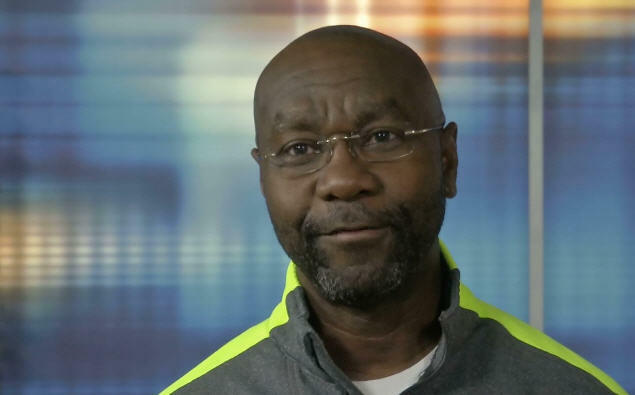 To hear more of Wilmot Collins' interview with CBSN's Elaine Quijano, click the video in the player at the top of this page.